COMPUTEX 2015 — Taipei, Taiwan — June 1, 2015 — Corsair®, PC gaming hardware leader, today at Computex unveiled Bulldog, the first DIY PC built exclusively to bring the vivid immersion of 4K gaming to the living room. Composed of a DIY kit with a stylish gaming console-sized chassis, liquid CPU cooler, power supply, and motherboard, and designed with plenty of space for customization and upgrades, Bulldog provides the foundation for users to build the ultimate living room PC. Using its proprietary liquid CPU and GPU cooling technology, Corsair condensed the desktop PC computing performance into Bulldog’s compact form factor. An early version of Bulldog is on display at Computex 2015, with availability expected in early Q4. With the increasing affordability of 4K TVs and the arrival of new NVIDIA and AMD graphics cards, PCs are now poised to deliver the definitive gaming experience in 4K, far beyond the 1080P limitation of current game consoles and most Steam Machines. However, 4K-capable PCs require a lot of power and run hot when pushed, throttling down performance and becoming excessively loud as the stock fans struggle to cool the CPU and graphics card. Corsair engineered Bulldog to make it to run cooler and quieter, with Corsair’s proprietary liquid GPU and CPU cooling solutions key to delivering desktop performance in near silence in a smaller footprint. Bulldog includes a dedicated liquid cooler for the CPU, with an optional GPU liquid cooling kit available separately. Both the included Hydro Series H5SF liquid CPU cooler and an HG10-equipped graphics card allow users to simultaneously overclock both components, giving the system the potential to run faster – and quieter – than a conventional desktop gaming PC. 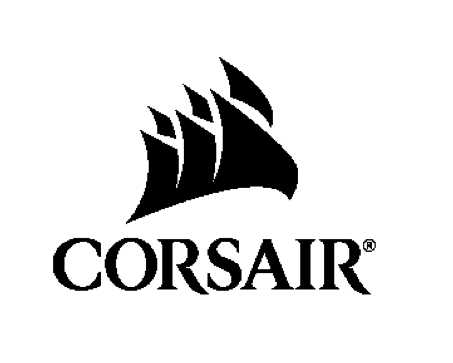 In addition, Corsair has partnered with NVIDIA® and MSI to integrate Corsair liquid cooling technology into GeForce® graphics cards. The cards will be made available by MSI and will initially include the GeForce GTX Titan X, GTX 980, GTX 970, and the just announced GeForce GTX 980 Ti. Bulldog is designed with PC enthusiasts in mind, incorporating a builder-friendly layout and tool-free features, and using standard mini-ITX motherboards and SFX12V PSUs for future-proof upgradeability so users can keep pace as games and hardware evolve. Since Bulldog provides the foundation of a full PC, users can choose the OS that suits their needs: Windows, SteamOS, or Linux. Chassis – Provides a highly ventilated, stylish, compact console design that enhances the living room and keeps PC components cool. SFX power supply – Offers high-efficiency, 600-watt power in standard SFX12V form factor that runs smooth and quiet. Mini-ITX motherboard – Supports the latest multi-core desktop PC CPUs. Optional: Drop-in ready liquid-cooled graphics cards will be announced soon. Upgrade kits with a Hydro Series H55 liquid cooler and HG10 graphics card cooling bracket will be available for $99. Also announced at Computex with Bulldog is Lapdog, Corsair’s portable gaming control center that brings the precision of desktop gaming to the living room. Wired for maximum performance, Lapdog is a lapboard that features a large mouse mat area and keyboard dock for Corsair mechanical gaming keyboards. Wired for maximum performance without the hassle of battery charging. Large 7”x11” mouse mat area and keyboard dock. Powered USB hub for keyboard, mouse, headset, game controllers, and flash drives. Memory foam underside cushion for user comfort. MSRP: Available as a standalone station for $89 or complete with keyboard for $199. Bulldog and Lapdog are slated for release in Q4 of 2015. Stay tuned for an official launch date.